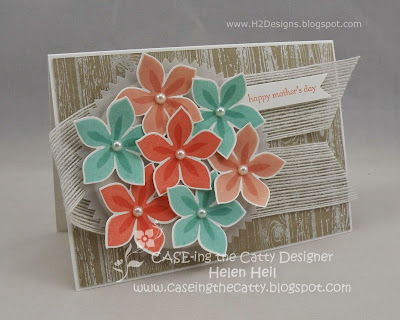 This week the Crew from CASE-ing the Catty have a Blog Hop for you with the inspiration being the layout of the card on Page 22 of the Stampin' Up! Occasions catalogue. 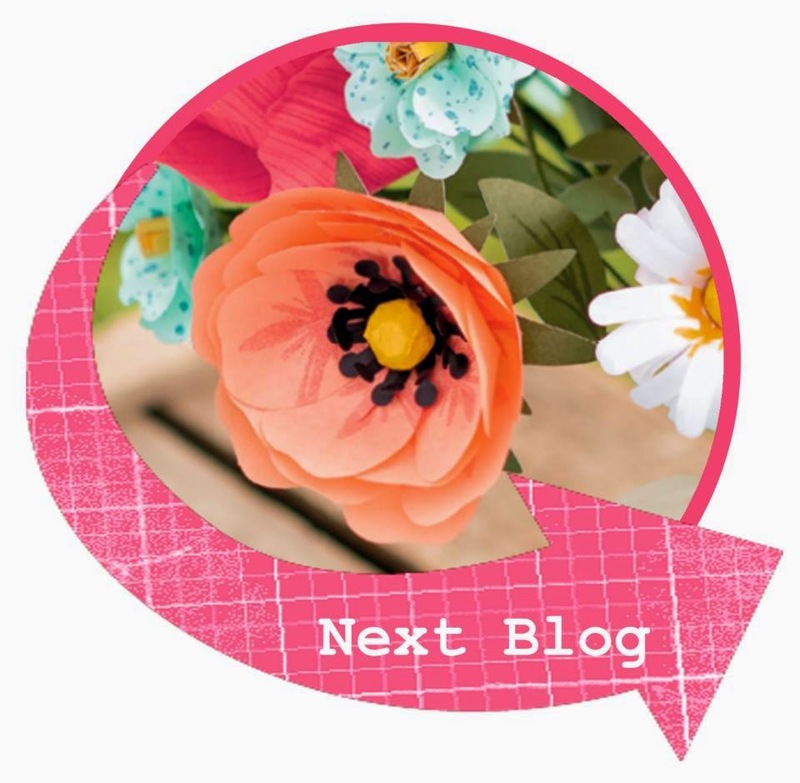 Perhaps you have come directly from Alison's blog & checked out her amazing project. To keep on hopping around the blogs click on the "next blog" icon at the bottom of this post to go straight to Elizabeth's post. If you happen to get lost along the way, there is a list of all the participating links on the CASE-ing the Catty blog (here). 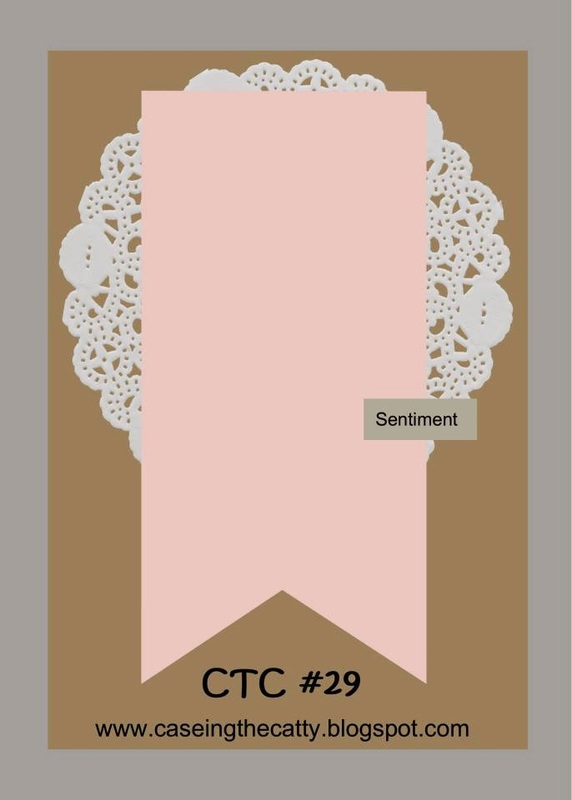 As you can see, I have turned the layout & the sentiment 90 degrees. I love the rustic feel of the Hardwood background of the inspiration piece, so I recreated that with white craft ink on a crumbcake background, but I ran the planks in the opposite direction. I used the a retiring Starburst die for the the vellum wrapping on my posie & had to give a last "hurrah" to the retiring InColors, Coastal Cabana & Crisp Cantaloupe. I certainly hope those two colours return in the next colour shuffle! I have used the white jute ribbon to recreate the banner element of the card & used the Flower Patch Stamps & matching Flower Fair dies for the flowers. A Bitty Banner die was used with the Teeny Tiny Sentiment. We hope you enjoy our projects this week & would love for you to join us, to do so, simply leave a comment on the CASE-ing the Catty blog with your link.